Wine caves are an integral component of the wine industry worldwide used for storage and aging of wine and the history of wine cave construction in the United States dates back to the 1860s in Sonoma, and the 1870s in the Napa Valley region. 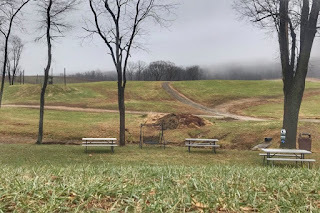 We continue our exploration of Virginia wine by visiting an unique man-made wine cave nestled at the foot of Short Hill Mountain. 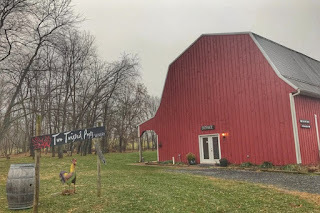 Our exploration of Virginia wine takes us to an unique man-made wine cave nestled at the foot of Short Hill Mountain, adorned with several ponds and gently rolling hills. 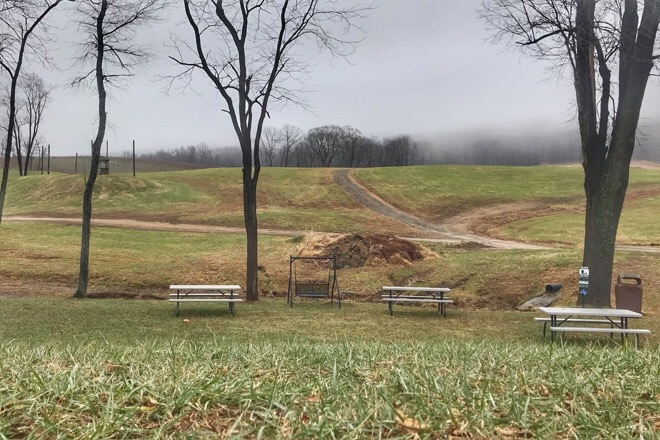 Maggie Malick Wine Caves located in Purcellville, Western Loudoun County, planted with 15 varieties of Old World grapes, have earned nearly 70 medals since their opening in 2013. Wine caves naturally provide both high humidity and cool temperatures, which are key to the storage and aging of wine, besides the optimum use of limited land area. A constant temperature between 55 °F and 60 °F (13.0 °C and 15.5 °C) is considered to be optimal for wine storage and aging. At the winery, we will enjoy their hand-crafted, Cave-aged wines while taking in the beautiful scenic surroundings. Note: The tasting room at Maggie Malick offers freshly warmed baguettes, charcuterie meats, cheeses, and spreads. You are welcome to bring your own picnic. 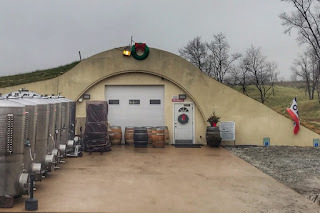 After our visit to Maggie Malick Wine Caves, we will stop by a boutique winery, at a short distance of 1.5 miles. Two Twisted Posts Winery was established in 2008 with their first harvest in 2011. Their 2012 Chardonnay won a Gold Medal in the Virginia Governor's Cup and was selected for the Governor's case. The vineyard contains blocks of the vinifera Chardonnay, Cabernet Franc, Cabernet Sauvignon and the hybrid Traminette and the winery produces a limited number of good, award winning wines. Description: Exploring a wine cave and boutique winery in Purcellville Virginia. Keep in Mind: Many of our winery and brewery events are limited to smaller groups, as most of the good places prefer keeping it to smaller groups and neighborhoods communities. Would you like to be notified when we post our winter events and new articles ?